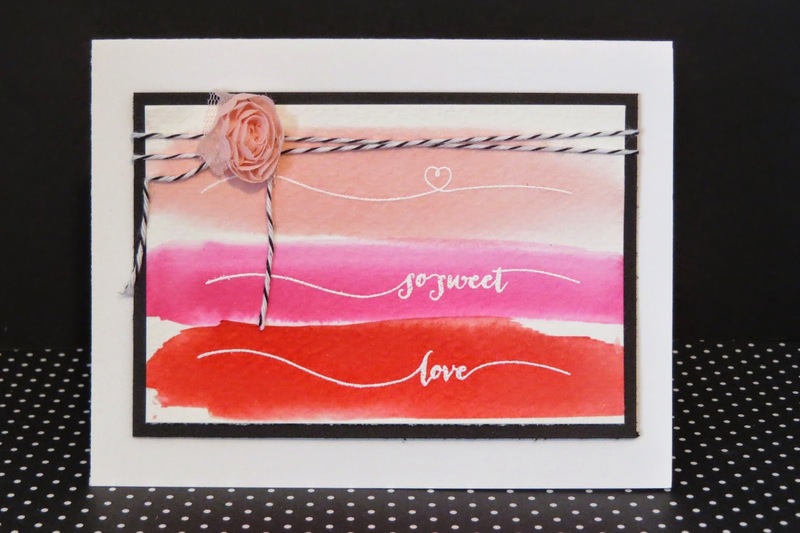 It's time for another stamp it my way card challenge! I got this supper cute card from my friend Tricia at the Creative Day Get away event on Saturday. I love how she coloured watercolor paper with three kinds of ink and stamped over it with the Hello Life stamp set. For this challenge make a card with these pieces and post them to my Karinas kreations faecbook page.